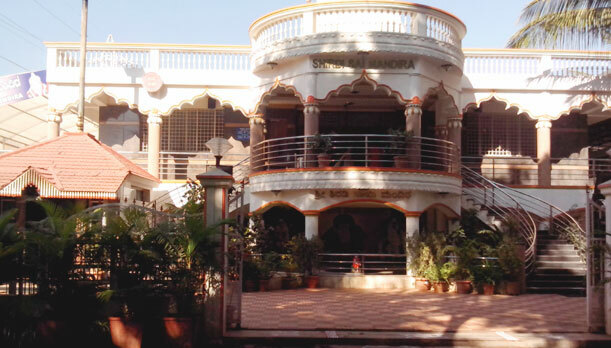 Shirdi Sai Mandira temple was formed by Sri Gajanana Seva Mandali in 1998 and is located at HMT layout, R T Nagar. Temple has got complete spiritual atmosphere surrounded by Lord Shiva & Parvathi, Subramany & Ganesha's Temple. It is the place where the restless mind finds peace, harmony & oneness. Shirdi Sai Baba came into this world to show us a way of perfect life and the attainment of bliss by leading a selfless, devoted life with service to all fellow beings as a Motto. Sri Gajanana Seva Mandali Trust is engaged in spreading the Sai movement. Thousands of devotees throng the shrine on all Thursday from dawn till dusk. The trust serves food to the poor and devotees on all days by organizing its FREE NOON MEAL. The Temple Philosophy is best summed up as “Love All, Serve All. Help Ever, Hurt Never”. People of all faiths are welcome at Shirdi Sai Mandira , as there is only one religion, the religion of love. Shirdi Sai Mandira provides programs to develop peace, truth, love and bliss. Providing medical assistance to poor and needy persons by organizing Free Health Camps. Providing free educational assistance / hostel Facilities to students every year. Providing medical assistance patients every year by organizing Medical Camps.